I made these little cuties for a baby shower this year and have been craving them ever since. 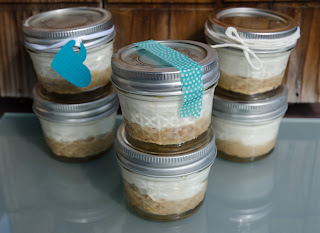 And did I mention the best part...they are ‘no bake’! 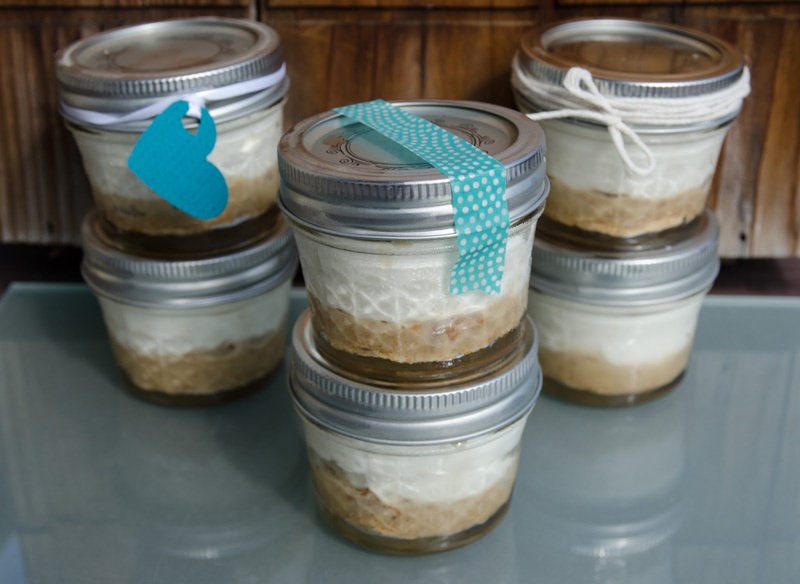 In these tiny mason jars they are perfect for party favors, dinner parties, or just looking adorable. They are so simple I almost hate to give away my secret:). I’ve been making this cheesecake for years (since college actually), but just recently had the idea to mix a little caramel in with the crust. I think this may have been one of my few brilliant ideas in life. Make the caramel sauce first. Crush 5 graham crackers into small chunks and spread evenly between the 12 jars (you may not use all the crumbs). Drip the caramel sauce over the graham cracker crumbs until saturated. Set these in the fridge to cool and ‘harden’. Meanwhile, make the cheesecake filling. Cream the softened cream cheese and sugar in a mixer. Mix in the sour cream and vanilla until smooth. Fold in the cool whip until incorporated. 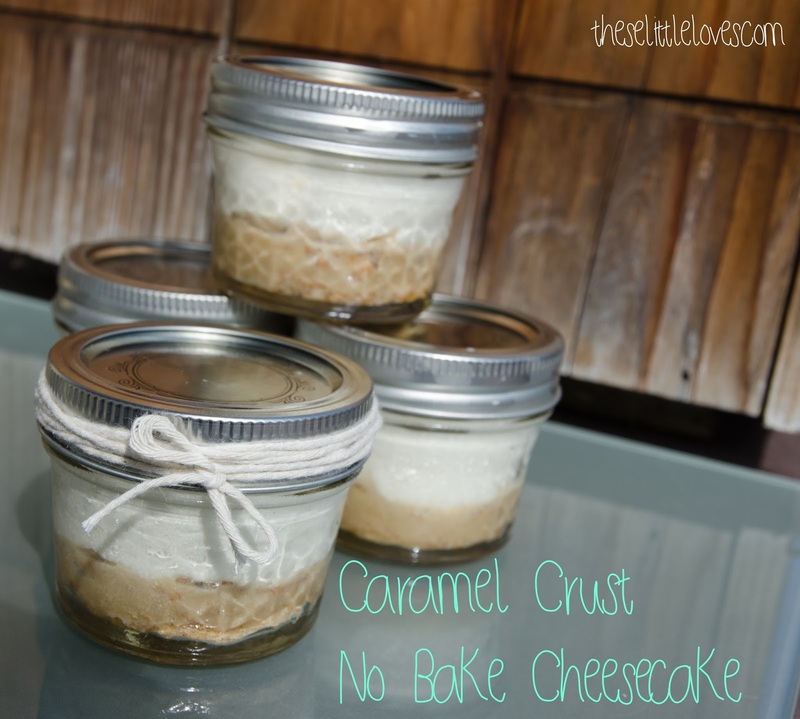 When the caramel crusts have chilled, add the cheesecake filling to each jar. Put on the lids and chill overnight. Serve chilled. 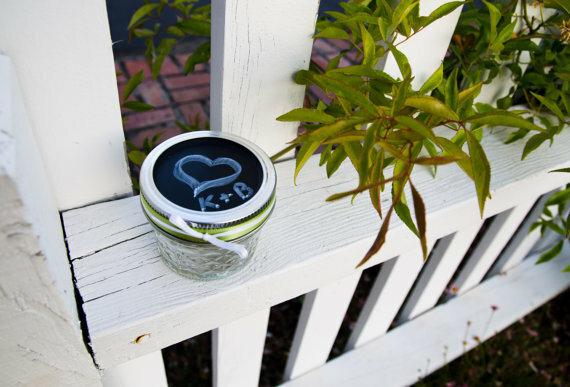 These little jars can be dressed up, kept classic, or anything in between. I like simple decorations with just a little ribbon or washi tape. Or my favorite is probably the chalkboard top mason jars in my Etsy shop. Just have fun with it!